ZX Forums > Kawasaki Motorcycles > ZX-9R Forum > Installing the ZX9 engine in my ZX7 frame - problem! I have never seen a ZX9R B motor mounted to a ZX7R P model. Maybe try contacting BRG Racing and see if their mount kit will work with this application? It is tight. You cannot install the frame that way when you have a 9 engine. Do not install any bolts until it is close. You have to put it more straight over the head. There is some swearing involved but it fits. "first mount the lower rear, and than jack the front up until it reaches the upper mounts". That works fine if you do not have a 9 engine. Both the early and late 7 frames just don't have the space to do that. - I´ve read several threads with this done on P models. Maybe it´s just more "bolt-on" with the older ZX7´s. 96+ has lots of complications. 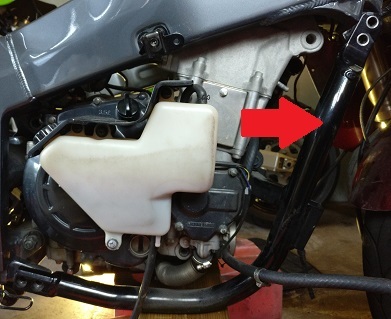 - Figure out a solution for the airbox since the carb spacing is different and ram air configuration. The BRG kit and the work is done. The kit is expensive and you have to deal with BRG (I'm not a fan of these guys if you can't tell). Other people tackle these issues themselves. "First off the rear engine mounts line up perfectly as does the sprocket. That just leaves the front engine mounts. 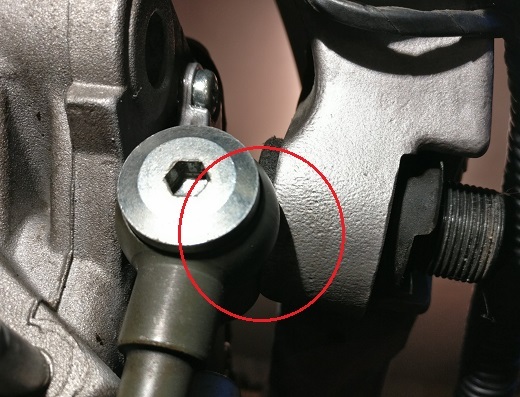 If you don' t want to go the BRG route, you can get around the front engine mount problem by wittling out the other engine mounting holes on the engine, this will give enough movement to install all the mounts on the standard frame. Second up is the oil delivery pipe to the cylinder head. This will require a little frame modification in order to clear the banjo bolt. Third up is the airbox, in order to use the 9r carbs try to get hold of a 9r B base for the airbox, the carb mounting face is then cut out and plastic welded (using soldering iron) into the base of the 7r airbox. this allows the use of 7r airbox with filter and ram air tubes." I now wonder one thing - should the black engine rack stay on the ZX9 engine or be removed when mounting it into the ZX7? Now why would you suddenly think of a rack? Will not mount up to ZX7 frame so just leave it off. Serves no purpose other than added weight. Last edited by MickeZX7R; 03-26-2019 at 12:13 AM. So..what do one do with this oil banjo-frame contact situation? 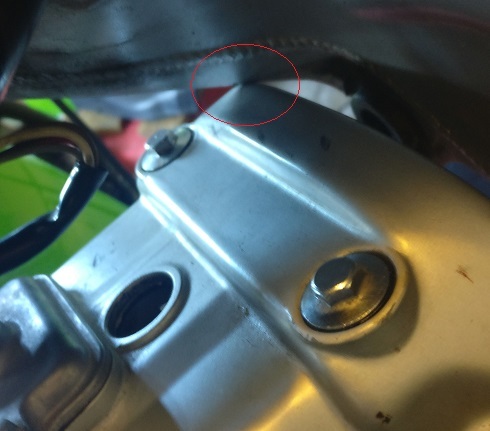 "a little frame modification" - does that mean dremel work on the frame? I'm not a fan of cutting up a frame up clearance this. It is why you hear me and others mention the BRG kit. It's expensive but it works. You don't have to buy the whole kit. Just pick and choose what you want out of the kit. - I can´t see how one can pick separate parts of that kit, just the complete kit? 5 Attachment(s) Where is everybody?